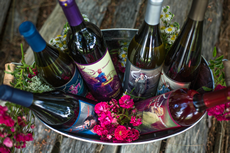 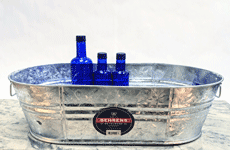 Sip drinks on ice at your next summer party from a stylish beverage tub. 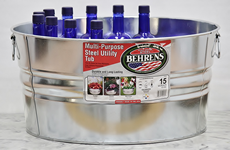 Our tubs feature a non-corrosive steel construction with either a colored paint coat or galvanized metal finish. 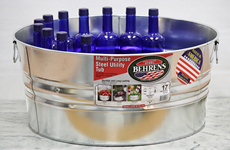 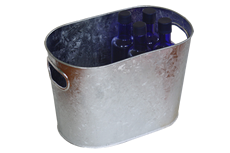 Large beverage tubs have an elevated base, watertight seal, thick sidewalls, and easy-carry handles. 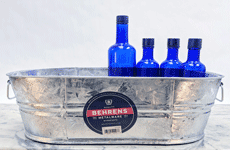 They make a perfectly portable, durable cooler. 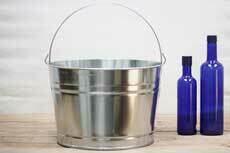 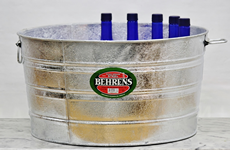 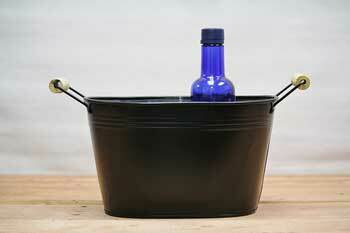 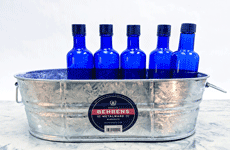 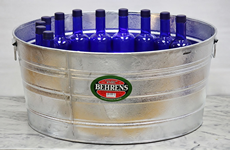 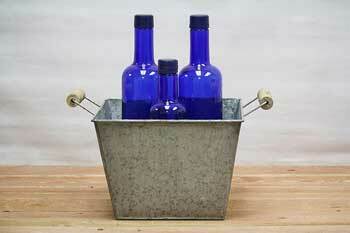 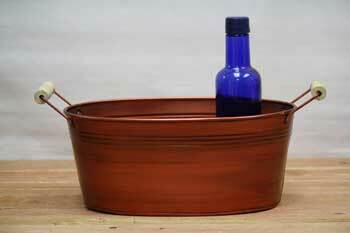 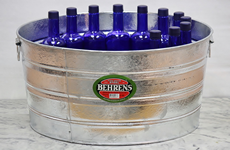 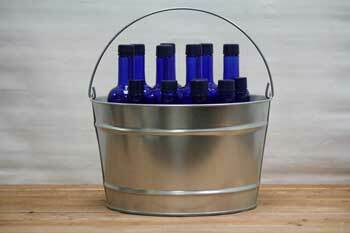 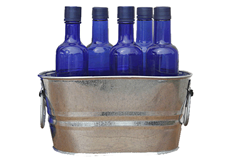 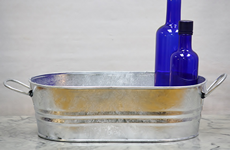 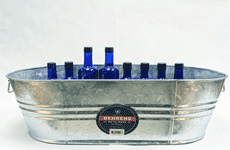 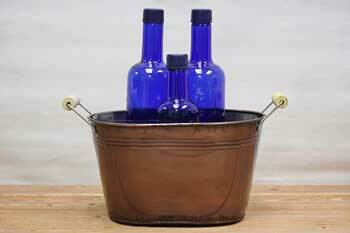 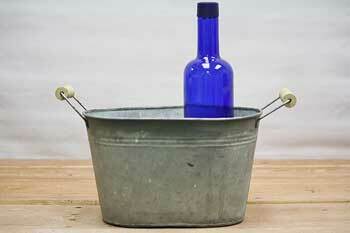 Fill these classic galvanized metal and brightly colored beverage tubs with ice and drinks. 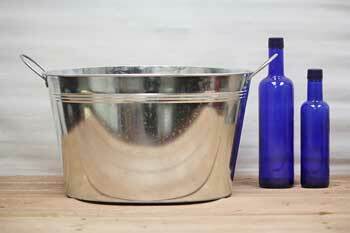 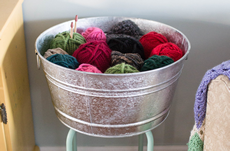 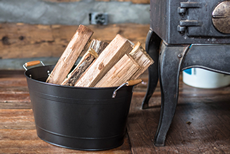 Galvanized metal tubs can last for a century - or longer if they're taken care of. 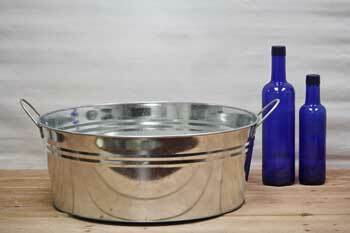 Read More: Will galvanized steel rust? 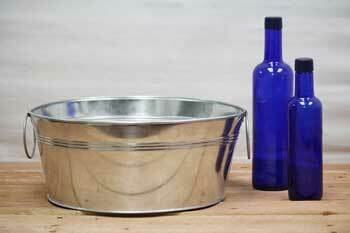 Related: Is galvanized metal safe for food? 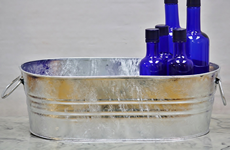 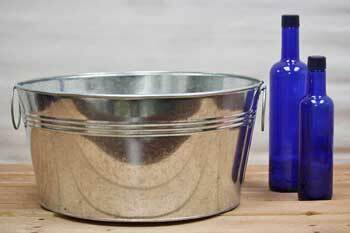 Want to make a new galvanized tub look old? 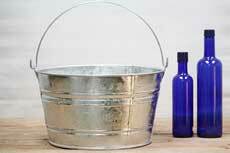 Read: How to age galvanized metal. 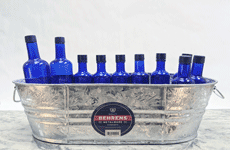 Two size bottles were selected to illustrate bucket size. 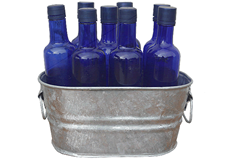 The smaller blue bottle (12.7 ounces) demonstrates a regular size beverage. 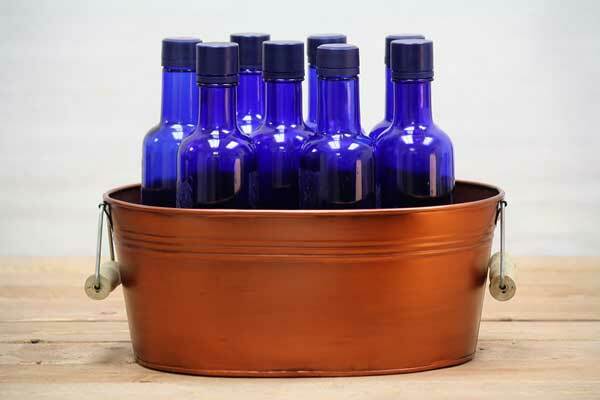 The larger blue bottle (26 ounces) represents a standard wine bottle. 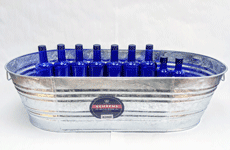 Tub beverage capacity is the maximum amount of standing bottles (flat on the tub's bottom). 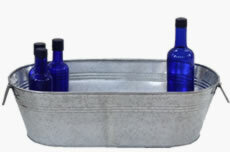 With peanuts or ice (and placing the drinks more randomly) you'll have room for more than the number of "standing bottles," especially in the larger sizes. 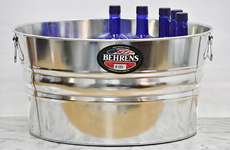 Use beverage holding capacities as baseline numbers. 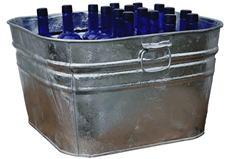 Find your metal beverage tub from our large selection of quality outdoor coolers.